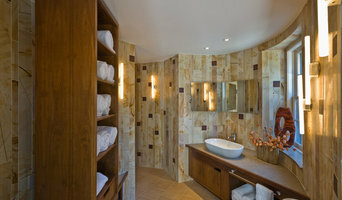 Residential and commercial real estate photography. Pease Photography specializes in architectural interior and exterior photography. 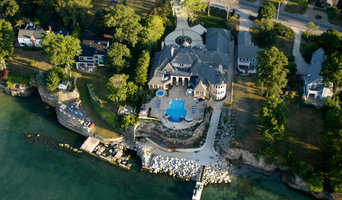 We also shoot high end video and aerials utilizing our state of the art sUAV/drone. Will has been specializing in Residential, Commercial, and Architectural since 2007. As a former Realtor, Will brings both the creative vision of the photographer and the unique marketing of a home or building. 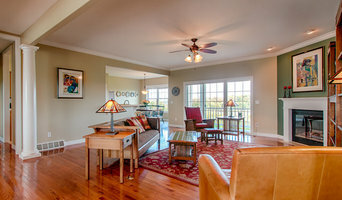 Offering World-Class Real Estate Photography services for any property, at an affordable price. I'm a real estate listing and architectural photographer. Usually, I take listing photos for higher end properties, but many agents call me in to make their normal single family homes look great. I really enjoy working with builders to showcase their new construction. Don't hesitate to contact me for any of you photo needs. See pricing and my process at my website <a rel="nofollow" target="_blank" href="http://akronrealestatephotographer.com">http://akronrealestatephotographer.com</a>. I would love to make your listings or buildings shine. David Berlekamp is an architectural photographer based in Cleveland, Ohio. Formally educated in architecture at Kent State University and a practicing architect, David established an interest and passion for photography during his academic career. In the last several years, David began working with design professionals, helping them capture the essence of their work through photography. David has maintained several on-going working relationships with design clients in the fields of architecture, interior design and residential construction. Through his understanding of design, coupled with his technical skill, David has the critical ability to capture the essential images of his clients’ work. Hello! I'm an interior, architecture, and real estate photographer in the Cleveland, OH area. Having studied interior design in college, I'm fascinated by architecture and interiors. I have a keen eye for detail and composition. My heart is to equip designers, agents, developers, architects, etc. with a personal, digital library full of high quality images their work. My clients have used their images for their websites, social media, and print/digital marketing alike. I like having long term work relations with my clients in order for them to trust me as their photographer. Hi Everyone! My name is Carly Stockburger, I am the Owner and Lead Photographer at Reviz Studios. Reviz Studios was founded in 2015 and over the last few years has been dedicated to performing professional Real Estate Marketing services for our clients. Our services include Professional Digital Photography and Editing, 3D Virtual Tours from Matterport and Custom Video Marketing. I am also a licensed and insured UAS Remote Pilot. I operate a Phantom 4 Pro Quadcopter to capture 4K stills and video of properties from above! We also offer Graphic Design Service and Video Animation! We absolutely love what we do and pride ourselves on EXCELLENT client service. We work with Real Estate Agents, Contractors, Insurance Agents, Air BNB properties and many more, don’t hesitate to contact us today! We offer free estimates tailored to your needs! Interior, exterior and aerial photography for custom home builders, remodelers, architects and interior designers. I am a professional Real Estate and Architectural Photographer based in Hudson, OH and work all over Northeast Ohio. Todd Kaminski, a well-known professional photographer located in northeast Ohio, creates works of art. Whether it is advertising or architecture, in Ohio or across the United States, Todd has the expertise and vision to capture the essence of your photo project. Kaminski offers superior quality and service for your commercial photography needs and uses state-of-the-art technology to create stunning advertising photos. Turn-around time is fast with our on-site retouching department. Kaminski offers a unique cost sharing program. Call us at 330-630-9050 to get more information. Contact Kaminski Studio, a Commercial Photographer in Northeast Ohio. Full service professional, digital photography delivered in a timely fashion with a keen eye for detail. Collaborative, fun and dependable. Before you call any potential photographers, make sure they have good references. Friends who've sold or rented homes before are great resources, as are local real estate agents. Look through each Ohio photographer's online portfolio to make sure what you're looking for is being offered. Once you've done that, it's a good idea to walk around your home and write down exactly how many and what types of shots you'll need. Include any specifications you might have, such as angles, things to consider about your home’s Cleveland, OH site, the time of day you think will be best and aspects of your home you want to highlight. 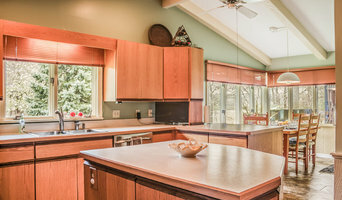 Find a home photographer on Houzz. Narrow your search in the Professionals section of the website to Cleveland, OH photographers. You can also look through Cleveland, OH photos by style to find a room you like, then contact the professional who photographed it.